Sales growth is the one common element that EVERY technology CEO is constantly seeking. Maybe that’s just a bit of an over-statement; occasionally you do run into a chief executive in the middle of such hyper-growth that accelerating sales isn’t a priority. Not needing to focus on sales growth is an unusual situation, however, to say the least. Optimizing the sales function is quite often top-of-mind in the executive suite. But especially if you’re a CEO without an extensive sales background, how to you measure whether or not the sales function is clicking on on cylinders? It can be difficult; just because the revenue numbers aren’t where you’d like them to be doesn’t mean it’s the fault of the sales department. As we discussed in this article, blaming the sales folks is often counterproductive and just plain wrong. Remember, sales happens at the very end of the value chain; things that go wrong upstream in product development, marketing, etc. greatly affect the ability of sales people to do their jobs. In cases where blame is inappropriately aimed at sales, it deflects attention away from other areas of the value creation chain with the company that needs improvement. But of course, sometimes the sales department IS to blame as the primary or secondary problem. PJM Consulting can help improve your sales function in a number of ways, from evaluating the effectiveness and efficiency of the sales people to measuring how difficult a job they’ve been presented with by the other value creators within the company. We can provide independent evaluation, advice and consulting assistance, but what if you have a hole in your sales management team, for example a VP-Sales or US country manager? We can provide an interim senior sales executive to fill that role for as long as necessary, on either a full-time or part-time basis. Our Morettini on Management Blog contains many articles on sales management topics in software and hardware companies companies. Please give them a look to get a better idea on how we think and approach the difficult sales issues in tech businesses. We’ve sold and consulting with sales teams across a broad spectrum of technology market segments and technologies. PJM consultants have many years of experience evaluating sales function strengths and weaknesses, as well as minimizing costs. Our specialty is the “tough” cases: Startups,hyper growth, turnarounds, M&A, new markets and other transition-oriented situations where market traction is critical or difficult to come by. PJM Consulting is on-demand firm that exists for the sole reason of bolstering the results of tech companies; we can design a custom engagement to help your company quickly improve your sales function’s results. Review overall sales strategy and provide advice on how to change it for improved results, if appropriate. 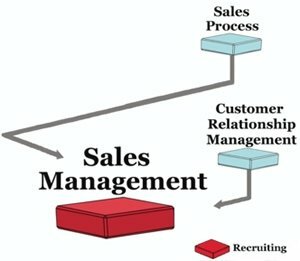 Contact PJM Consulting to discuss your Sales Management consulting issues and needs today! Technology Sales & Marketing-Is a direct or indirect approach best? You Should Scale Your Tech Company Sales Force When…..
What the Heck is Customer Development? Is a Strong Rolodex Important in Technology Businesses?